Kenny Harlow is a true horseman sharing his “Training with Trust” methods with horses and students alike gaining astounding results. He is a graduate of John Lyons very first certification program and has continued his education training under top trainers in the disciplines of dressage, hunter/jumper, eventing, and reining. He has been featured on national television shows including Hard Copy, and NBC weekend Today show. 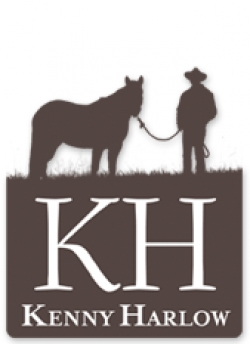 Many newspapers and horse publications such as Horse World magazine, Equine journal, and chronicle of the horse have featured articles on Kenny’s Training methods. His specialty is working with problem horses and starting unbrokes. He proves that clear communication and patience is the key to solving the most difficult of problems.